This product is sold by one of our partners. The support is provided by this vendor directly. You will get his support access in the purchase receipt email. Your Siberian must be in version 4.8.10 or above to run this module. Your users are looking for a way to monetize their App? Allow them to receive donation through the most user friendly payment gateway of the moment: Stripe (Also supporting 2Checkout, and Paypal). App Store has blocked your app because it uses webview instead of going by safari to receive donation? 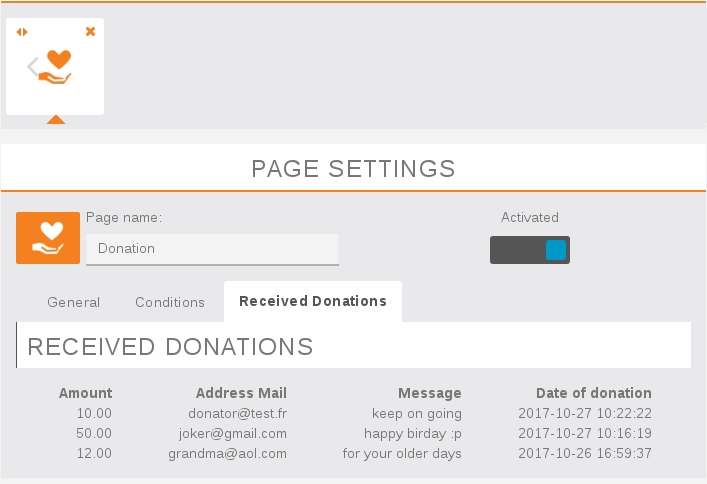 It won’t be the case anymore with Donation module which doesn’t use any webview to proceed credit card payments. It’s entirely native. No webview.